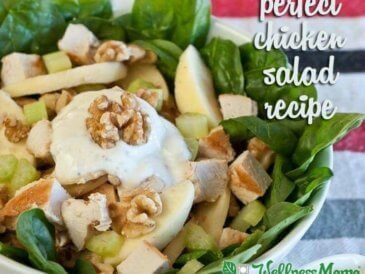 Often a healthy diet and fried foods seem incompatible, but this doesn’t have to be the case. 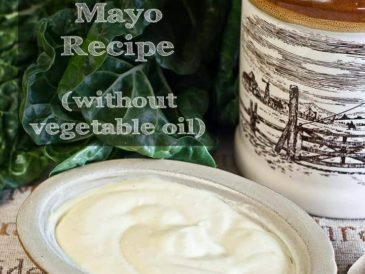 When using quality ingredients and oils that are safe to use at high temperatures (like coconut oil or tallow), fried foods can be an acceptable part of a healthy diet. 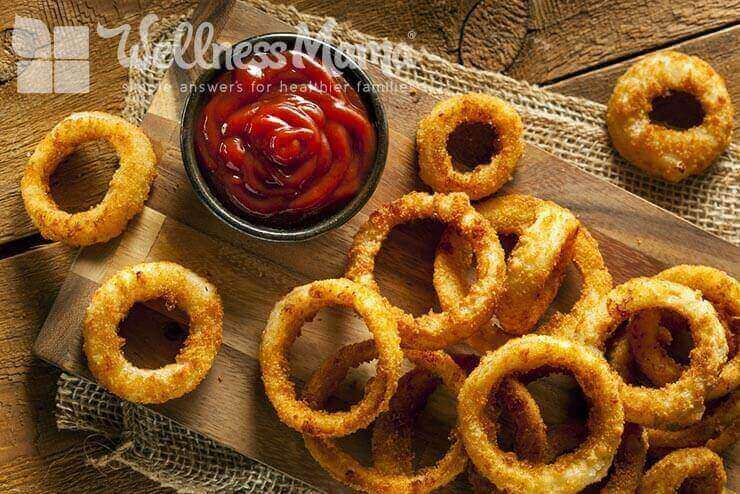 This onion rings recipe is one of my favorites and it uses healthy sources of beneficial fats. I used to love fried foods and figured I would have to give them up forever when I realized just how bad vegetable oils are! 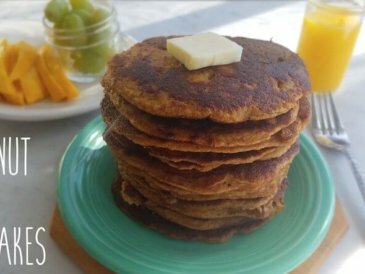 This recipe uses healthy fats and coconut flour to make a healthy and delicious version of a typically unhealthy food. Note: Those who avoid eggs can use almond milk, coconut milk, or melted butter in place of the eggs. It won’t stick quite as well, but it will be enough to hold the coconut flour and arrowroot powder on. Add more or less garlic, salt, and pepper to taste. 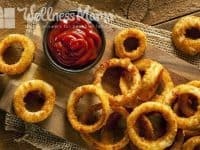 Healthy homemade onion rings that are grain free! Heat fat (tallow, lard, or coconut oil) over medium-high heat in a large, deep, skillet or deep fryer (preferable). 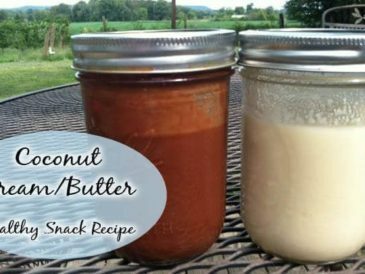 Mix coconut flour, arrowroot, and spices on a large plate. Beat eggs in a bowl or put melted butter or milk in a bowl. Peel and thinly slice whole onion into rings. Separate rings and dip into egg mixture (or substitute), then into coconut mixture. Drop into hot oil and cook about 3 minutes per side until golden brown and crispy. Remove, let cool, and enjoy. I also like to salt the rings after cooking. The arrowroot powder is needed to help the coconut flour stick to the onion rings. 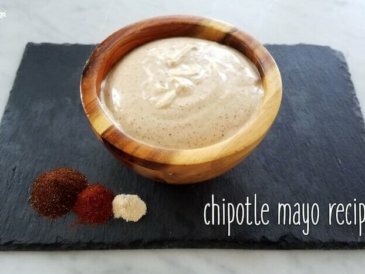 I serve these with my Homemade Mayo mixed with tons of fresh cilantro, but they are also great with homemade ketchup. What is your favorite fried food? Ever made a healthy alternative? Tell me below!